Pamplin Media Group - MLB Expos to Portland? Portland is being mentioned prominently as a possible place for the MLB Montreal Expos to relocate. A $150 million lead in stadium financing, arranged through the Oregon Legislature, fuels the talk for 2005 or beyond. The Oakland A's, Florida Marlins and Minnesota Twins also are considered possible future relocation candidates. • With flags at half-staff to honor the late coach Clive Charles, the University of Portland honors its 2002 NCAA Division-I women's soccer champions before a game against Connecticut at Merlo Field. UP's acting coach is Garrett Smith. • The Women's World Cup is about to begin, with 16 teams playing in six venues, including PGE Park. But the news for women's soccer is not good — the Women's United Soccer Association (WUSA) suspends operations. The eight-team pro league has exhausted a $100 million investment. 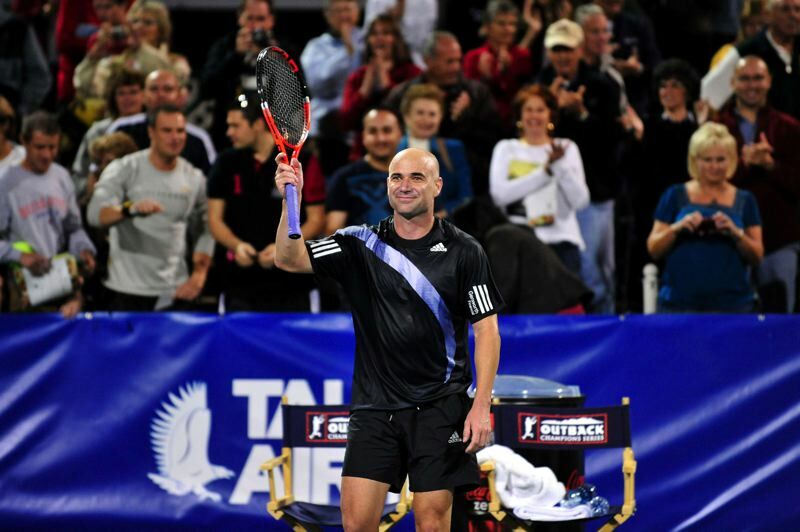 • Andre Agassi signs to play in Portland in November in Superset Tennis, a new, one-day eight-man event at the Rose Garden with all the prize money, $250,000, to go to the winner. • Steven Jackson and Derek Anderson rescue Oregon State from a 13-point deficit as the Beavers defeat New Mexico State, 28-16, at Reser Stadium. Jackson runs for 166 yards and two touchdowns on 35 carries. Anderson passes for 233 yards and one TD, and runs for another. • Oregon goes to 3-0 and opens its Pac-10 play with a 48-10 win at Arizona. Kellen Clemens and Jason Fife rotate at quarterback for the Ducks, and Demetrius Williams hauls in three touchdown passes. • Portland State improves to 2-0 with a 44-37 triumph over Nicholls State before 5,627 fans at PGE Park.